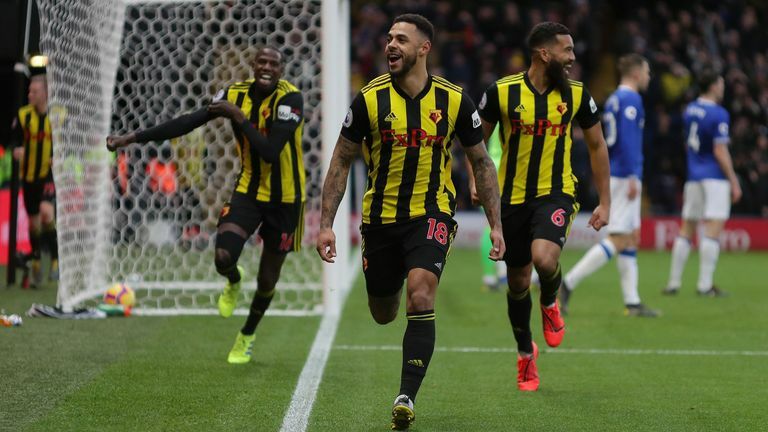 After Troy Deeney had appeared to stoke the flames ahead of the encounter at a Watford fans' forum, Gray made the most of the only moment of real quality in the game when he converted Will Hughes' cut-back 20 minutes into the second period, scoring his fourth goal of the season. Everton produced very little throughout the 90 minutes and defender Kurt Zouma was sent off after the end of the match when he picked up two yellow cards for confronting the referee. 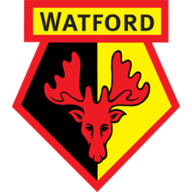 Watford: Foster (7), Janmaat (6), Mariappa (7), Cathcart (8), Holebas (6), Capoue (7), Doucoure (6), Hughes (7), Sema (5), Deulofeu (6), Deeney (6). Subs: Cleverley (n/a), Chalobah (n/a), Gray (7). 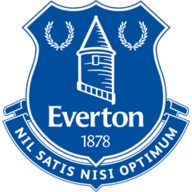 Everton: Pickford (6), Digne (6), Kenny (6), Keane (6), Zouma (5), Davies (7), Gueye (6), Gomes (5), Sigurdsson (5), Richarlison (5), Tosun (5). Subs: Walcott (6), Bernard (5), Calvert-Lewin (5). It is now just 11 points from the last 14 league games for Silva's side, with Watford moving four points clear of their opponents in eighth place. Watford came close to breaking the deadlock after 11 minutes when Daryl Janmaat's cross was chested into the path of Etienne Capoue by Deeney, but the Frenchman's shot hit the head of Jordan Pickford from point-blank range before flying over the crossbar. Zouma and Michael Keane had headers on target for Everton in reply but neither tested Ben Foster, although the former England goalkeeper had to be alert to palm away Cenk Tosun's fierce shot on the turn with 10 minutes of the half remaining. Abdoulaye Doucoure was back having missed the last four matches with a knee injury as the Frenchman replaced former Everton midfielder Tom Cleverley in midfield for the Hornets. Marco Silva picked the same defence and middle three as those who played in the 2-0 reverse in midweek to City, but changed the front line as Cenk Tosun, Richarlison and Gylfi Sigurdsson replaced Bernard, Theo Walcott and Dominic Calvert-Lewin. Lucas Digne blocked Gerard Deulofeu's shot from Hughes' cutback in an opening 45 minutes low on chances and quality. Both sides came close to breaking the deadlock shortly after the restart as Gylfi Sigurdsson's instinctive lob from inside the Watford penalty area thudded against the bar before Jose Holebas fizzed a shot just wide of Pickford's left-hand post. With both teams looking for that moment of class, it was finally provided by the most unlikely of sources as Craig Cathcart produced a wonderful reverse pass into the path of Hughes, whose cross was met by the unmarked substitute Gray to score. Everton had their chances to level as Digne's free-kick clipped the top of the bar, while Dominic Calvert-Lewin could only head wide from the Frenchman's cross. As the jeers rained down on Silva from the terraces at the final whistle, Zouma overstepped the mark in his protests towards referee Lee Probert, and the Frenchman was duly shown two yellow cards followed by a red, to cap another miserable afternoon for the Merseysiders. Javi Gracia said: "I'm very happy today, after a very demanding game, to achieve three points. I'm very happy for all the players and the supporters. We knew it would be very equal with some chances for both teams. "We had one clear chance for Capoue early on which we didn't take, and after then it was very equal. "At half-time we decided to change the shape and try to go more direct with the second balls and I think it was better for the team." 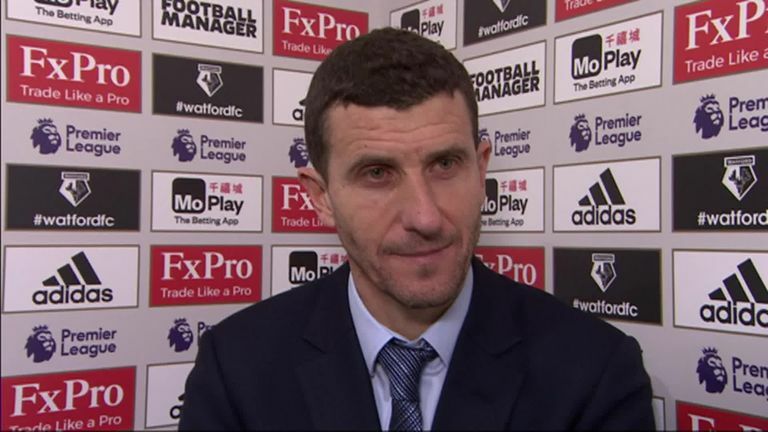 Javi Gracia was proud of the way his players performed in a 'demanding game' as Watford beat Everton 1-0 in the Premier League. Marco Silva said: "We hit the crossbar twice in the second half and had the header from Dominic. At the moment things aren't good. "They created a chance after one corner which wasn't a corner and, after a deflection, they scored the goal. We just weren't effective. "It's not good for us as a club, and for me as a manager it's not good. I'm concerned but we have to work more and more to achieve the results that can grow our confidence." 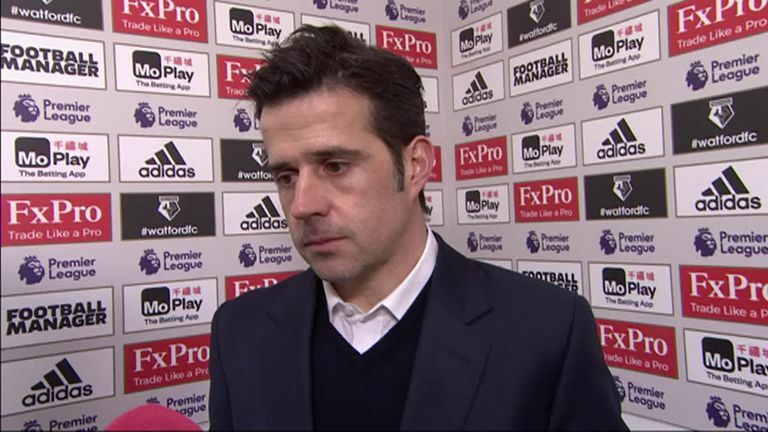 Marco Silva admits he is 'concerned' about Everton's recent poor run of form as they suffered a third straight league defeat to Watford. Watford have won their last three home Premier League games against Everton - the first time they've won three in a row against an opponent at Vicarage Road in the competition. Everton have lost three Premier League games in a row for the first time since January 2018 (three games in total). Watford have registered three clean sheets in their last four Premier League games, as many as they managed in their previous 21 in the competition. Everton have lost seven of their last 11 Premier League away games (W3 D1), after losing just one of the six before that (W2 D3). Everton boss Marco Silva has won just three of his 13 Premier League games at Vicarage Road (12 games as Watford manager). Andre Gray's opener for Watford ended a run of 10 Premier League appearances without a goal for the stiker, his longest goal drought in the competiton. Will Hughes registered a goal involvement on home soil for the first time in his last 13 Premier League appearances, since an assist against Bournemouth in March 2018. Cathcart is enjoying his best football at Watford and his fine 2019 continued with an impressive display against Everton. Silva changed his entire front-line but Richarlison, Tosun and substitute Calvert-Lewin received no change from the Northern Irishman. This was Watford's second straight clean sheet in the Premier League and, after showing his threat in the opposition penalty area with two goals already this calendar year, the 30-year-old has been instrumental to those shut-outs. Brighton were somewhat unfortunate not to beat Foster last week, but the Watford goalkeeper's quiet afternoon here was largely due to Cathcart's frequent interventions. Watford travel to face QPR in the FA Cup fifth round next Friday before returning to Premier League action away to Cardiff on February 22. Everton have no match until February 26, when they are also away to Cardiff.